I am a late starter! I am middle aged and decided to study my passion, photography and beauty. I started as a photographer and decided I need to do makeup for glamour photography. I did the Master Makeup Course by QC and found it to be amazing. I love the flexibility and I could use my photography skills to submit styled shoots for my makeup assignments. The course was affordable and much easier than studying at a school due to working full time. Your makeup artistry career has really taken off! What’s the best part about being a professional makeup artist? I love pampering my clients and transforming them into gorgeous women. I mainly do glamour and boudoir makeup for my photography but on occasions I get asked to go out on site to do bridal makeup, that is a challenge but fun. I love buying all different types of makeup, but mainly use MAC, Napoleon and Makeup Studio Australia professional products. How expensive it is putting a professional makeup kit together and to buy good quality makeup brushes up front. You’re also a professional photographer. Can you tell us how your photography skills have helped your makeup career? My photography requires makeup to be perfection! I do a lot of close up work and the makeup needs to be flawless. I have learned that various makeup photographs differently, but MAC, Napoleon and Makeup Studio Australia professional products are my go to. When ladies find out I do photography and makeup they are happy they can have all the services in one spot. I also do hair styling! As a QC Makeup Academy graduate, how do you think your makeup training prepared you for working in the industry? I loved the QC Makeup Academy course, I live in a town where there are only a few makeup schools and they are extremely expensive! For what I wanted for my photography business, QC Makeup Academy was perfect and I had a tight budget. I have highly recommended QC Makeup Academy course to numerous young ladies wanting to learn makeup. The content of your courses was perfect and I loved the feedback via voice mail. 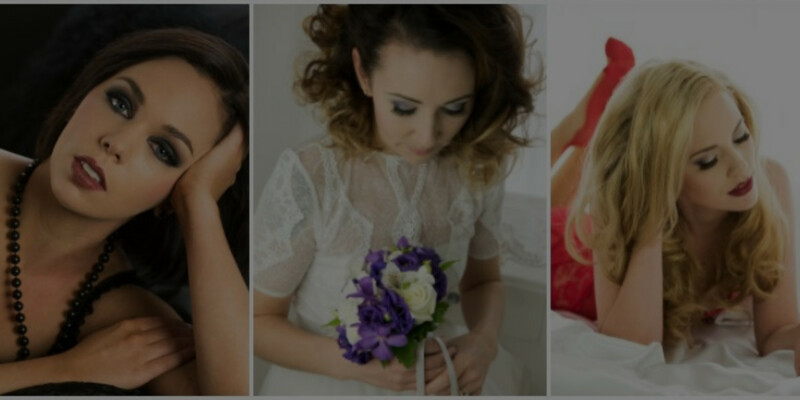 You work with tons of clients, from bridal and glamour makeup to hairstyling! What’s your top piece of advice for working with different clients? Because my business is specifically glamour and boudoir, I always ask my clients questions with a questionnaire about likes and dislikes and styles they like etc so I am always prepared. I always get a photo of my clients before we meet, oh except if it is a wedding then I have to go with the day! And always compliment your clients no matter who they are! Will you share your secret to such a successful makeup career with us? Have a well-stocked professional looking kit including a variety of lash styles. Have variety for clients to choose from colored eyeshadows, foundations, contours etc. Always take time to learn new things and go to workshops! Watch you tube for new ideas and latest trends! Have a makeup Website, Facebook, and Instagram to showcase your work! Ask for client feedback! I always send my clients a post feedback form to ask for their feedback about their sessions! It’s amazing what you will learn from that! Good and bad! (Hopefully not too many bads). Take Kerry’s advice and start building your makeup kit now! Find out how to get a professional makeup kit on a budget. Thank you Katie for featuring my work in your Blog. 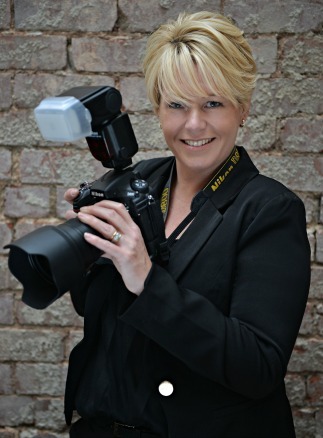 Hi Kerry – thank you for letting us feature you!